My initial mission with this podcast is simple: to let you know you’re not alone. To peel back the curtain to let you know you’re not the only one changing’ poopies while muted on a conference call with your assistant. You’re not the only one hiding in your closet to record a podcast. You’re not the only one wondering if it’s all worth it. 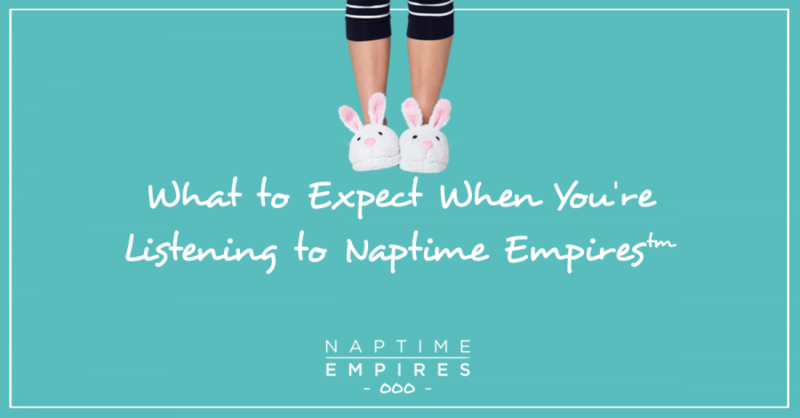 NOTE: I share the nitty gritty here in NE 001: Launching a Naptime Empire™ – join me!